Havenite alert! 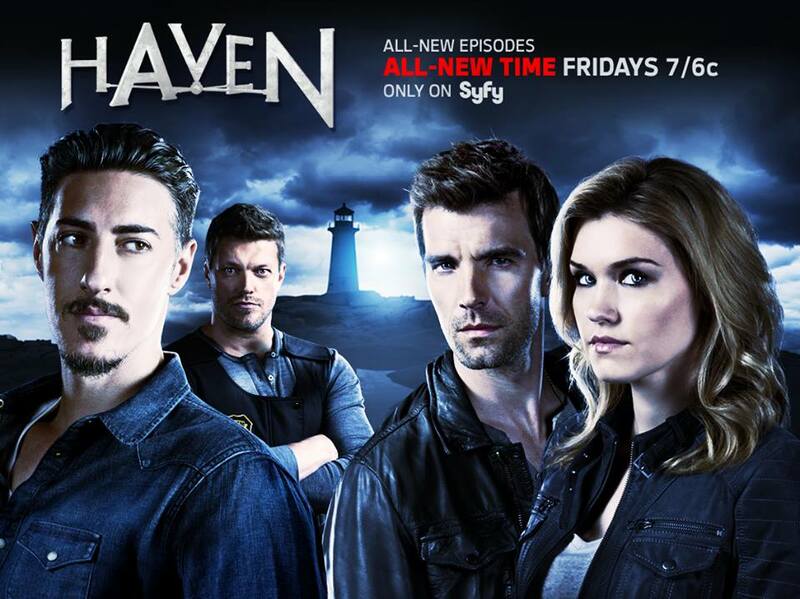 If you’ve checked your local listings, you may have noticed that Haven is not on tonight. That’s because Syfy has somewhat quietly moved it back to Fridays (yay!) — at 7pm. Yes, seriously. 7pm. Now, don’t get me wrong, I love it when shows come on earlier, especially when it means that it faces decreased competition and gives me something else to watch besides Entertainment Tonight. But yowie, 7pm isn’t even prime time. So come on, Friends of Haven, let’s show Syfy how much we LOVE Haven by watching Friday night and live-tweeting the heckfire out of it, using #Haven5. According to Haven‘s Facebook page, star Emily Rose will be live-tweeting too. LET’S DO THIS. Ah, the old switcheroo. Dwight and the coroner, good one! Any guesses about the others? Don’t despair about the day and time change, Friends of Haven. For better or worse, WWE brings in terrific ratings for Syfy, and now that Haven, which features former WWE star Edge, whom we know as Adam Copeland, Dwight, or Chief, leads into WWE, the new timeslot may be giving Haven a fighting — see what I did there? — chance. Still, don’t forget to check in on TVTag, Facebook and Twitter during the new day and time, and let’s show Syfy our love for this excellent series. Haven, starring Emily Rose, Lucas Bryant, Eric Balfour, Richard Donat, John Dunsworth,and Adam Copeland, now airs Fridays at 7/6c on Syfy.